Public policy has been much more successful at increasing the supply of education than the supply of jobs the educated want in many poor countries. This is particularly true of sub-Saharan Africa (SSA) and South Asia and it is the mismatch between the rapidly increasing supply of more educated labour and the demand for such labour by firms which is the focus for the dissatisfaction with the jobs that are available. An influential policy agenda set out by the ILO argues for a focus on creating ‘decent jobs’ and that the creation of such jobs can lead to higher growth and lower levels of poverty in poor countries. 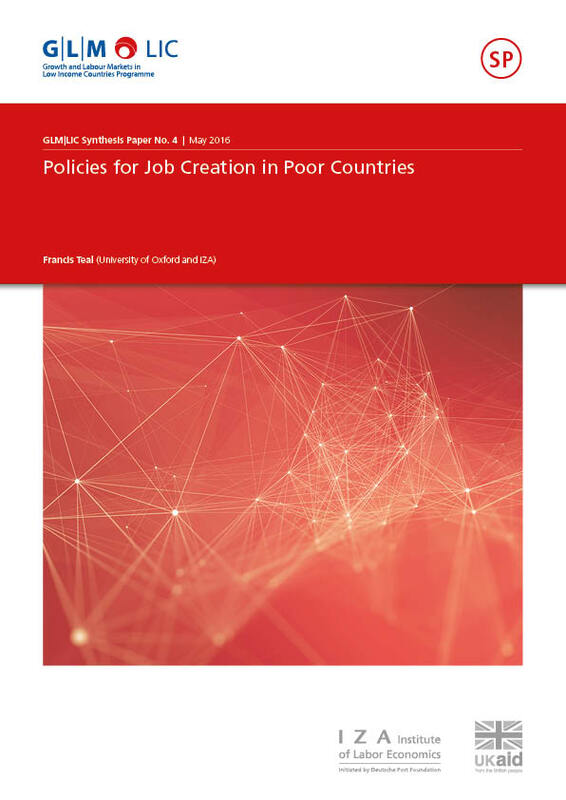 In this paper it is argued that the ‘decent jobs’ agenda fails to address the reasons for the job creation pattern we observe. We argue for a policy agenda focused on the sources of low productivity and patterns of skill mismatch which generate low incomes rather than an ILO focus on the type of job being created.